Maybe you missed it. The series was short. Just a trilogy of stories about cowboys who never got over their first loves. That they were brothers and owned a ranch was just part of the fun. Two of the heroines were older than the cowboys. One was his high school sweetheart. Yes, I’m talking about those boys from the Triplehorn Ranch. I’ve been thinking about summer for the past couple of weeks. Wish I had time for a short cruise somewhere hot, where I could soak up some rays, dip my toes in saltwater, and dispense with all these layers of clothing! Hell, I wish I could just hit the fast-forward switch and make it May so I could start using the pool! I’m looking forward to swimming, and hopefully finding time to do it more than once a day! Are you looking forward to summer? If so, what are you wanting to do most? Comment for a chance to win one of these stories! One shared past. One weekend to make things right—and make it last forever. 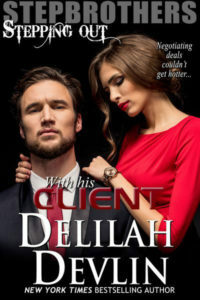 Sarah Colby has never quite managed to shake off the emotional scars her ex-husband left behind. Nor has she been able to shed the shame of the one indiscretion that still haunts her memories. When she asks the Triplehorn Ranch for help to move her cattle to an auction, the man they send has her working double-time to shore up the walls around her heart. He’s older now, harder—and hotter—but he’s the same Tommy Triplehorn she couldn’t resist all those years ago. Tommy couldn’t be happier that his brothers have settled down, but he’s feeling a little smothered by all the domesticity. At the same time, carousing and drinking no longer appeal—and he thinks he knows why. Sarah Colby. He’s waited too long for her to get over being ashamed of what they shared. He’s old enough to know what he wants. It’s her, and he’s going to use every second of their time together to dismantle her resistance. Even if he has to call in a little backup. Warning: A cowboy on a mission to prove to the woman he loves that the only number that matters is the number of fantasies he’s willing to fulfill—even if it means sharing her for a night. The kiss Tommy Triplehorn planted on Candy’s mouth made Sarah Colby’s mouth dry right up. She knew all too well how his kisses felt and couldn’t help the jealousy stirring up inside her as the couple walked down the sidewalk to a motel room door in plain view of every person inside the saloon. The man had no shame. The red in his cheeks as he’d exited the bar had likely just been from the liquor he’d consumed. Sarah tamped down the disappointment that soured her stomach and summoned a smile for the man she was meeting this night. Blake Morrow was thick-shouldered and tall. A burly man with a booming voice. His wealth and standing in the community made him a very suitable suitor. The fact he already had children from a previous wife, was a relief to Sarah, who had resigned herself long ago to her barren state. Blake liked her and desired her property even more. He was honest about that, gently respectful of her intelligence by not trying to romance the Rocking C from under her as so many men had. She shrugged. “I ran into some problems before I could break away. No time to get dressed up.” She made no apology. Blake knew her responsibilities as a ranch owner came first. “You still look beautiful,” he said, his tone gruff. She appreciated the compliment and smiled, not wanting to read too deeply into anything he said. Surface congeniality, quiet respect. That was more than she was accustomed to. It would do. 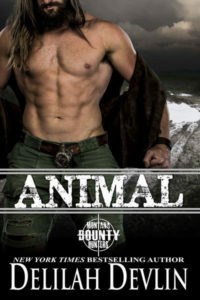 Any stray thoughts of handsome cowboys like Tommy Triplehorn were consigned to her fantasy life, not her real life. The young rancher had been a mistake. One she’d regretted the instant she’d let him slip beneath her reserve. She’d felt alone, afraid for her future. She’d mistaken his rock-hard shoulder for maturity, his hot kisses for love. Eventually, she’d fallen from the clouds that had obscured her good sense and faced the cold hard truth. She was a plain woman, a natural woman. A barren, wealthy woman. The only things a man would ever want from her were what she owned and perhaps a bed partner. As sparsely populated as this section of Texas was, she had no illusions that convenience was on her side. No, she’d learned a hard lesson all those years ago about what men wanted from wives. One she’d never forget. Her destiny wasn’t some fool’s gold of a lover’s promises. Blake’s strong hand settled at the small of her back to guide her toward a table, something she couldn’t help flinching from. She didn’t need to be led. Didn’t need some big strong man showing her the way. But she kept silent. He was only doing what he’d been taught. He couldn’t know that the last time she’d been led, she’d been forced to submit. The action that left her cold, made her more reserved with men than other women might be. Good Lord, they sounded like the oil men who’d come to her ranch a few years back asking to sink a test well on her property. Blake reached across the table and cupped her hand. Just a brief squeeze before he withdrew and flipped open the menu. The waitress arrived. Relieved by the distraction, Sarah ordered a steak and salad. Blake ordered the same, adding shrimp and potatoes. She supposed such a large man would need the calories. Hopefully, he didn’t expect for her to let him finish her steak. She wasn’t some deskbound rancher. She rode the fences, supervised the movement of the cattle to fresher pastures, participated in the branding every spring. Every calorie she ate fueled her body, just like a man’s. She forced herself to uncurl her fingers. What was she doing? Looking for problems? For judgment? Was she simply hoping to find a compelling reason to send Blake on his way like she’d done the past eight years with every other man who’d approached her since her husband’s untimely death? Sarah forced herself to uncurl her hands in her lap. In any other situation she’d have been comfortable, in charge. But here, knowing Blake wanted to marry her, that he’d expect intimacies at some point, left her cold inside. A damaged heroine in a romance novel, she certainly was not, but she had been tainted by a violent man. Left untrusting and wary. Glad for a long while for her self-imposed celibacy. Pretending ease with the man sitting across from her seemed an insurmountable task. Who was she fooling? Sooner or later, he’d make a move and she wasn’t entirely sure who she’s react. Would she wouldn’t flinch or lean away. Or simply freeze in place. The more she considered the idea of intimacy with this man, the more the knot in her stomach hurt. The last thing Blake wanted was problems. He had his life mapped out. He hadn’t looked any further than skin deep to determine she was his next move. So although he’d be disappointed in the short term, she knew she couldn’t string him along with hopes she’d learn to deal with a husband in her life and bed. Before the salads arrived, Sarah made her apologies and quietly excused herself, leaving a befuddled Blake without a clue what he’d done wrong. She headed straight to her car, hat in her hand, not looking around the dark parking lot. A scuff of gravel sounded, and she instantly regretted waving Blake back into his chair when he’d offered to walk her out. She cupped her keys, spreading her fingers around three to use as a weapon.